Clean CARFAX. Dark Blue Metallic 2006 Chevrolet Silverado 1500 LS 4WD Cable Dahmer on 40 Hwy (11911 E US Hwy 40, Independence, MO 64055), Over 700 Used Vehicles In Stock, Guaranteed Credit Approval, Over 20 Banks and 11 Credit Unions, No Hassle Pricing, Hablamos Español, Call or text us at 816-203-0566, No Accident CarFax, 4X4, Local Trade - In, Silverado 1500 LS, 2D Standard Cab, Vortec 4.3L V6 MPI, 4WD, Dark Blue Metallic. We also have in-house financing to make your purchase easy and simple..... * Experience the Cable Dahmer Auto Direct Difference ** Located at 11911 E US 40 Highway just 1 mile West of the Truman Sports Complex! Virtually all of our vehicles come with warranty coverage. BUY WORRY FREE! Free Loaners while you wait and our ALL NEW 2 week No Worries Exchange Policy! Call us at 816-203-0566 ask about details! Serving Kansas City, Independence, Lee's Summit, Blue Springs, Grain Valley, Raymore and Grandview - part of the Cable Dahmer Automotive group - a family owned company since 1963! 2010 Dodge Ram 1500 Big Horn Want to know more? Call or text us at (816) 307-1603 to chat about this vehicle! Located at Lees Summit Kia 400 NE Colbern Rd Lees Summit MO 64086 Call for a free test drive. CARFAX One-Owner. HEMI 5.7L V8 Multi Displacement VVT, 4WD, ABS brakes, Alloy wheels, AM/FM radio: SIRIUS, Compass, Electronic Stability Control, Heated door mirrors, Illuminated entry, Low tire pressure warning, Remote Keyless Entry, Traction control. Cable Dahmer Kia is available online or give us a call/text at (816) 307-1603 to have your questions answered, obtain a price quote for this vehicle, or schedule your test drive today. Cable Dahmer Kia is happy to serve all Independence, Lees Summit, Blue Springs and the Kansas City Metro area residents from our new and used car Kia dealership. Odometer is 49545 miles below market average! Clean CARFAX. Salsa Red Pearl 2004 Toyota Tundra SR5 RWD 4-Speed Automatic with Overdrive Cable Dahmer on 40 Hwy (11911 E US Hwy 40, Independence, MO 64055), Over 700 Used Vehicles In Stock, Guaranteed Credit Approval, Over 20 Banks and 11 Credit Unions, No Hassle Pricing, Hablamos Español, Call or text us at 816-203-0566, 4.7L V8 SMPI DOHC, Oak w/Cloth Seat Trim. We also have in-house financing to make your purchase easy and simple..... * Experience the Cable Dahmer Auto Direct Difference ** Located at 11911 E US 40 Highway just 1 mile West of the Truman Sports Complex! Virtually all of our vehicles come with warranty coverage. BUY WORRY FREE! Free Loaners while you wait and our ALL NEW 2 week No Worries Exchange Policy! Call us at 816-203-0566 ask about details! Serving Kansas City, Independence, Lee's Summit, Blue Springs, Grain Valley, Raymore and Grandview - part of the Cable Dahmer Automotive group - a family owned company since 1963! Odometer is 19900 miles below market average! Black Clearcoat 2003 Ford F-150 Harley-Davidson RWD 4-Speed Automatic with Overdrive Cable Dahmer on 40 Hwy (11911 E US Hwy 40, Independence, MO 64055), Over 700 Used Vehicles In Stock, *** WE OFFER IN HOUSE FINANCING***, No Hassle Pricing, Hablamos Español, Call or text us at 816-203-0566, FREE Annual Missouri Inspection, No Accident CarFax, Steering Wheel Controls, Heated Leather Seats, Moonroof / Sunroof, Blue Tooth, Power Windows and Locks, CD Player, Remote Entry, Local Trade - In, Supercharged, AFTERMARKET HEADLIGHTS & BRAKE LIGHTS INCLUDED, F-150 Harley-Davidson, 4D Crew Cab, 5.4L 2V Supercharged, 4-Speed Automatic with Overdrive, RWD, Black Clearcoat, Black w/Unique Leather Quad Captains Chairs, 4-Wheel ABS/4-Wheel Disc Brakes, ABS brakes, Bed Mat w/Harley Logo, Compass, Fail-Safe Cooling, GVWR: 6,350 lbs Payload Package, Harley-Davidson F150 Supercharged Badges, Illuminated entry, Power Adjustable Driver's Pedals, Remote Keyless Entry. We also have in-house financing to make your purchase easy and simple..... * Experience the Cable Dahmer Auto Direct Difference ** Located at 11911 E US 40 Highway just 1 mile West of the Truman Sports Complex! Virtually all of our vehicles come with warranty coverage. BUY WORRY FREE! Free Loaners while you wait and our ALL NEW 2 week No Worries Exchange Policy! Call us at 816-203-0566 ask about details! Serving Kansas City, Independence, Lee's Summit, Blue Springs, Grain Valley, Raymore and Grandview - part of the Cable Dahmer Automotive group - a family owned company since 1963! 2011 Chevrolet Silverado 1500 LT Comes with these Great Features ..... All star edition with Chrome essentials package and Chrome wheels.Clean CARFAX. Contact us online or give us a call at (866) 918-1427 to have your questions answered, obtain a price quote for this vehicle, or schedule your test drive today. Proudly Serving Blue Springs, Raytown, Lee's Summit and the Greater Kansas City Metro Area Since 1963! Located at 1834 S. Noland Road on the "Miracle Mile". Priced below KBB Fair Purchase Price! Clean CARFAX. Red 2013 GMC Sierra 1500 SLE RWD 6-Speed Automatic Cable Dahmer on 40 Hwy (11911 E US Hwy 40, Independence, MO 64055), Over 700 Used Vehicles In Stock, Guaranteed Credit Approval, Over 20 Banks and 11 Credit Unions, No Hassle Pricing, Hablamos Español, SILVER CERTIFIED, 3 MONTH / 3,000 MILE POWERTRAIN WARRANTY INCLUDED, Call or text us at 816-203-0566, FREE Annual Missouri Inspection, No Accident CarFax, Navigation / GPS, Steering Wheel Controls, USB Port, Blue Tooth, On Star, XM Radio, Remote Entry, Air Bag Suspension, Sierra 1500 SLE, 4D Crew Cab, Vortec 5.3L V8 SFI VVT Flex Fuel, 6-Speed Automatic, Red, Light Cashmere/Very Dark Cashmere Accents w/Premium Cloth Seat Trim, 3.23 Rear Axle Ratio, 6 Speaker Audio System Feature, Electronic Stability Control, Heavy-Duty Handling/Trailering Suspension Package, SiriusXM Satellite Radio, Traction control. We also have in-house financing to make your purchase easy and simple..... * Experience the Cable Dahmer Auto Direct Difference ** Located at 11911 E US 40 Highway just 1 mile West of the Truman Sports Complex! Virtually all of our vehicles come with warranty coverage. BUY WORRY FREE! Free Loaners while you wait and our ALL NEW 2 week No Worries Exchange Policy! Call us at 816-203-0566 ask about details! Serving Kansas City, Independence, Lee's Summit, Blue Springs, Grain Valley, Raymore and Grandview - part of the Cable Dahmer Automotive group - a family owned company since 1963! 2011 Chevrolet Silverado 1500 LT Comes with these Great Features ..... CARFAX One-Owner. Clean CARFAX. We also have in house financing to make your purchase easy and simple ......, Hablamos Espanol, No Accident CarFax, Rear Park Assist, Steering Wheel Controls, Power Seat, Over 700 Used Vehicles In Stock, Guaranteed Credit Approval,Over 20 Banks and 11 Credit Unions, LEATHER SEATS, XM Radio, Automatic, Cruise Control, Power Windows and Locks, CD Player, Remote Entry, Blue Tooth, On Star, Alloy Wheels, Local Trade - In, 6-Speed Automatic, 4WD, Light Titanium/Dark Titanium w/Leather-Appointed Front Seat Trim. Contact us online or give us a call at (866) 918-1427 to have your questions answered, obtain a price quote for this vehicle, or schedule your test drive today. Proudly Serving Blue Springs, Raytown, Lee's Summit and the Greater Kansas City Metro Area Since 1963! Located at 1834 S. Noland Road on the "Miracle Mile". This LTZ Silverado Comes With Leather Heated Front Bucket Seats, Adjustable Pedals, Rear Vision Camera, Locking Tailgate, Remote Vehicle Start, 18 Inch Chrome Wheels, Rear Parking Assist, Blue Tooth For Your Phone, Front Fog Lights, Heavy Duty Trailering Package, Dual Zone Climate Control, And A Six Way Power Driver Seat. Call Us At (816) 941-0555 To Chat About This Vehicle! Located At 555 W 103RD ST Kansas City MO 6411 *** Experience the Cable Dahmer of Kansas City Difference *** BE WORRY FREE! Call us and ask about details! Serving Kansas City, Olathe, Overland Park, Lee's Summit, Raymore and Grandview since 1963! White 2012 Chevrolet Silverado 1500 LT 4WD 6-Speed Automatic Electronic with Overdrive Cable Dahmer on 40 Hwy (11911 E US Hwy 40, Independence, MO 64055), Over 700 Used Vehicles In Stock, Guaranteed Credit Approval, Over 20 Banks and 11 Credit Unions, No Hassle Pricing, Hablamos Español, Call or text us at 816-203-0566, Steering Wheel Controls, Z71, Blue Tooth, On Star, Automatic, Remote Entry, 4X4, Silverado 1500 LT, 4D Crew Cab, Vortec 5.3L V8 SFI VVT Flex Fuel, 6-Speed Automatic Electronic with Overdrive, 4WD, White, Light Titanium/Dark Titanium w/Premium Cloth Seat Trim, Heavy-Duty Handling/Trailering Suspension Package. We also have in-house financing to make your purchase easy and simple..... * Experience the Cable Dahmer Auto Direct Difference ** Located at 11911 E US 40 Highway just 1 mile West of the Truman Sports Complex! Virtually all of our vehicles come with warranty coverage. BUY WORRY FREE! Free Loaners while you wait and our ALL NEW 2 week No Worries Exchange Policy! Call us at 816-203-0566 ask about details! Serving Kansas City, Independence, Lee's Summit, Blue Springs, Grain Valley, Raymore and Grandview - part of the Cable Dahmer Automotive group - a family owned company since 1963! Priced below KBB Fair Purchase Price! Odometer is 23497 miles below market average! CARFAX One-Owner. Blue 2014 Ram 1500 Tradesman 4WD 8-Speed Automatic Cable Dahmer on 40 Hwy (11911 E US Hwy 40, Independence, MO 64055), Includes Unlimited Mileage Powertrain Warranty until 2024, Over 700 Used Vehicles In Stock, Guaranteed Credit Approval, Over 20 Banks and 11 Credit Unions, No Hassle Pricing, Hablamos Español, GOLD CERTIFIED, 5 YEAR UNLIMITED MILEAGE POWERTRAIN WARRANTY INCLUDED, Call or text us at 816-203-0566, No Accident CarFax, Steering Wheel Controls, Blue Tooth, XM Radio, Remote Entry, 4X4, Local Trade - In, 1500 Tradesman, 4D Extended Cab, 3.6L V6 24V VVT, 8-Speed Automatic, 4WD, Blue, Diesel Gray/Black w/Cloth 40/20/40 Bench Seat, 6 Speakers, ABS brakes, Electronic Stability Control, Heated door mirrors, Low tire pressure warning, Traction control. 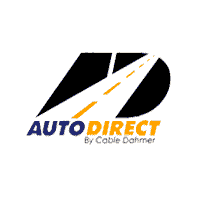 We also have in-house financing to make your purchase easy and simple..... * Experience the Cable Dahmer Auto Direct Difference ** Located at 11911 E US 40 Highway just 1 mile West of the Truman Sports Complex! Virtually all of our vehicles come with warranty coverage. BUY WORRY FREE! Free Loaners while you wait and our ALL NEW 2 week No Worries Exchange Policy! Call us at 816-203-0566 ask about details! Serving Kansas City, Independence, Lee's Summit, Blue Springs, Grain Valley, Raymore and Grandview - part of the Cable Dahmer Automotive group - a family owned company since 1963! One owner vehicle, Local Trade - In, One Owner, Ram 1500 SLT, 5.7L 8-Cylinder SMPI OHV, 4WD, White, ABS brakes, Alloy wheels, AM/FM radio: SIRIUS, Compass, Electronic Stability Control, Heated door mirrors, Illuminated entry, Low tire pressure warning, Remote keyless entry, Traction control. Come in today and experience the Cable Dahmer difference! We offer a two-week exchange policy on nearly all pre-owned vehicles, free loaners while you wait, free Missouri state inspections and much more! Cable Dahmer Buick GMC of Kansas City is located at 907 West 104th Street Kansas City MO 64114 . Call, chat or come by today! 2016 Ram 1500 Big Horn Comes with these Great Features ..... Clean CARFAX. 5 Year "Unlimited Miles" Warranty at no extra charge!!!! !, We also have in house financing to make your purchase easy and simple ......, Gold CERTIFIED, Hablamos Espanol, No Accident CarFax, Rear Park Assist, Steering Wheel Controls, Over 700 Used Vehicles In Stock, Guaranteed Credit Approval,Over 20 Banks and 11 Credit Unions, Rear View Camera, XM Radio, Automatic, Cruise Control, Power Windows and Locks, CD Player, Remote Entry, Premium Sound System, USB Port, Blue Tooth, Alloy Wheels, Includes Unlimited Mileage Powertrain Warranty until 2023, Local Trade - In. Contact us online or give us a call at (866) 918-1427 to have your questions answered, obtain a price quote for this vehicle, or schedule your test drive today. Proudly Serving Blue Springs, Raytown, Lee's Summit and the Greater Kansas City Metro Area Since 1963! Located at 1834 S. Noland Road on the "Miracle Mile". Power sunroof, Heated leather seats, Rear park assist, Bed liner, One owner vehicle, Bluetooth hands-free calling, Local Trade - In, One Owner, 4D Crew Cab, HEMI 5.7L V8 Multi Displacement VVT, 8-Speed Automatic, 4WD, ABS brakes, Bright Front Bumper, Bright Rear Bumper, Chrome Bodyside Molding, Compass, Electronic Stability Control, Emergency communication system, Front dual zone A/C, Heated door mirrors, Heated front seats, Heated rear seats, Illuminated entry, Limited Appearance Package, Low tire pressure warning, Navigation System, Remote keyless entry, Traction control. Come in today and experience the Cable Dahmer difference! We offer a two-week exchange policy on nearly all pre-owned vehicles, free loaners while you wait, free Missouri state inspections and much more! Cable Dahmer Buick GMC of Kansas City is located at 907 West 104th Street Kansas City MO 64114 . Call, chat or come by today! Bluetooth hands-free calling, Local Trade - In, 4D Crew Cab, Vortec 5.3L V8 SFI VVT Flex Fuel, 4WD, AM/FM Stereo w/CD Player & MP3 Playback, Bluetooth® For Phone, Dual-Zone Automatic Climate Control, EZ-Lift Tailgate, Front Halogen Fog Lamps, Heavy Duty Cooling Package, Heavy-Duty Air-to-Oil External Engine Oil Cooler, Heavy-Duty Auxiliary External Transmission Oil Cooler, Heavy-Duty Rear Automatic Locking Differential, Heavy-Duty Trailering Package, Locking Tailgate, Off-Road Suspension Package, Power Tech Package, SIRIUSXM Satellite Radio, Skid Plate Package, Steering Wheel Mounted Audio Controls. Come in today and experience the Cable Dahmer difference! We offer a two-week exchange policy on nearly all pre-owned vehicles, free loaners while you wait, free Missouri state inspections and much more! Cable Dahmer Buick GMC of Kansas City is located at 907 West 104th Street Kansas City MO 64114 . Call, chat or come by today! This Sierra Comes With Power Adjustable Pedals, Remote Vehicle Start, Rear Parking Assist, Blue Tooth For Your Phone, Alloy Wheels, Trailering Package, Dual Zone Digital Climate Control, Tonneau Cover, And Much More On This Super Clean Silverado!!!!!!!!!!!!!!!!!!!!!!!!! Call Us At (816) 941-0555 To Chat About This Vehicle! Located At 555 W 103RD ST Kansas City MO 6411 *** Experience the Cable Dahmer of Kansas City Difference *** BE WORRY FREE! Call us and ask about details! Serving Kansas City, Olathe, Overland Park, Lee's Summit, Raymore and Grandview since 1963!